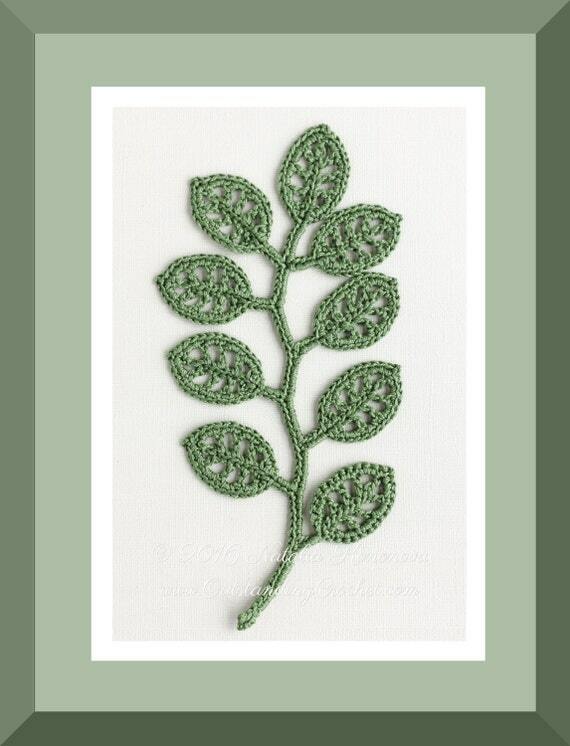 Outstanding Crochet: New crochet pattern - Irish Crochet Lace Motif - Branch - Applique, Wall decor. 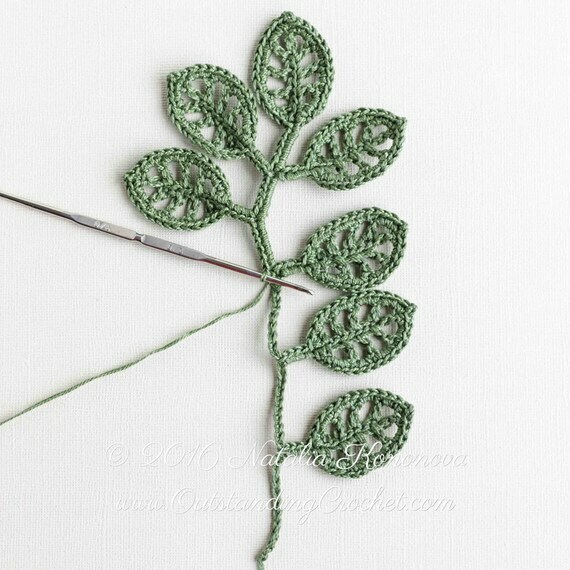 New crochet pattern - Irish Crochet Lace Motif - Branch - Applique, Wall decor. I just added this beautiful branch pattern in my shops. Hand-stitch this applique to a garment. Use as a part of Irish Crochet arrangement. Frame to create a fresh accent for your home! Variations are endless! I personally see it as minimalist style wall decoration, so I created this framed image to visualize. you'll find charts and written instructions under step-by-step pictures. ch (chain), sc (single crochet), sl st (slip stitch), dc (double crochet). -Cotton thread size 10 (2 strands) or cotton thread size 5 (1 strand); shown here: Curio by Knit Picks (100% cotton, size 10 crochet thread, lace weight, 721 yards/100 g in Spearmint color). - Branch is about 21.5 cm (8.5'') tall and 10.5 cm (4'') wide. I like the leaf design. What brand of hook is that? Great! Simpe but very decorativ and elegant.